SBI Mutual Fund has launched a number of schemes for its investors under different categories such as Equity, Debt, Hybrid, etc. One of its schemes that we are going to discuss here in this article is SBI Equity Savings Fund. 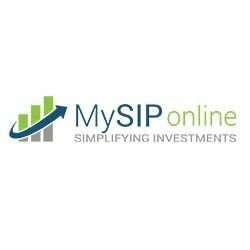 To invest in this scheme, log on to MySIPonline which is a user-friendly platform that helps you invest in a very simple way. SBI Equity Savings Fund was launched on May 11th, 2015 with an investment objective to facilitate investors earn income by investing in the arbitrage opportunities available in the cash and derivatives segment of the equity market and also invests in equity at moderate level so as to get capital appreciation as well. It invests the remaining assets in debt securities and money market instruments to maintain some liquidity. This fund is jointly managed by Mr. Ruchit Mehta and Mr. Neeraj Kumar since May 2015. Both of them have an overall experience of 14 years and 22 years, respectively. Mr. Ruchit Mehta - He is a graduate in Commerce from University of Mumbai and has done Master’s in Finance from Lancaster University. Before joining SBIFM in 2010, he was working with HSBC Asset Management Company. Mr. Neeraj Kumar - He has done graduation in Commerce from Magadh University and is a Chartered Accountant. Before joining SBIFM in 2006, he has worked with Life Insurance Corporation of India for 10 years. An investor may redeem up to 9% of the units within one year of investment without paying any exit load. However, if he redeems more than 9%, then he becomes liable to pay 1% as exit load. If the redemption is made after completion of one year, then there is no exit load which is to be incurred. The net asset value of this scheme as on July 10th, 2018 was 12.5875 and the assets under management were worth Rs. 2232 crores as on June 30th, 2018. The minimum investment amount with which an investor may start investing in sbi equity savings growth scheme is Rs. 1000 in lumpsum. Top five companies in whose debt instruments it has invested majorly are Bharti Telecom 2020, 7.45% Indiabulls Housing Finance 2018, Essel Corporate Resources, 7.45% Gruh Finance 2019, and Aditya Birla Retail 2020 with the investment percentage of assets allocated being 2.28, 2.23, 1.45, 1.34, and 1.24, respectively. Top five companies in whose equity the assets of this scheme have been allocated majorly are HDFC Bank (Financial), HDFC (Financial), ICICI Bank (Financial), Reliance Industries (Energy), and Kotak Mahindra Bank (Financial) with investment percentage being 3.58, 3.14, 3.02, 2.15, and 2.09, respectively. Seeing the trailing returns of SBI Equity Savings Fund in one and three years which is 4.71% and 7.53%, experts at MySIPonline believe that an investor should invest in for longer years so as to earn better returns.